One World Tribe was recently named the 1st prize winner in the 2016 Renaissance Artist and Writers Association's Songs for Social Change Competition for it's song We Are One which features two time Grammy Award winner Terrance Simien. The winning track originally appeared on the groups album Unity & Diversity. RAWA has now released a compilation CD that features the winning track plus seven additional tracks from selected runner ups. 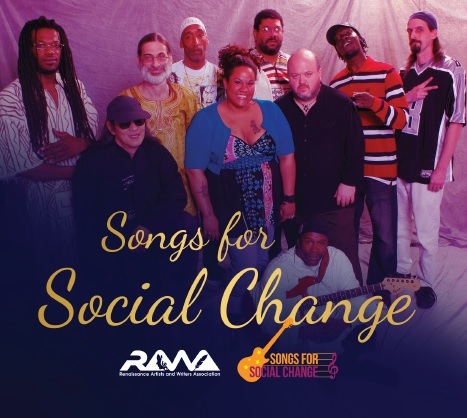 The CD, Songs for Social Change, features a cross-genre’ mix of hip hop, reggae, funk, world-beat, folk and more. The songs cover a range of contemporary social issues including: war and peace, homelessness, bullying, economic disparity, police brutality and more. Formed in 1958, RAWA is a worldwide movement of artists, writers and musicians working to restore art to its role as an instrument for social change and awakening. Doug Watson, head of RAWA’s U.S. chapter, was overwhelmed by the response to their first-year contest. Entries are now being accepted at www.rawa.net for the 2017 Songs for Social Change Contest. “We are looking for songs that will open people’s eyes to the problems that exist in today’s world,” Watson said, “and inspire them to make the changes that will build a better tomorrow.” To get a copy of the compilation CD log onto the following link. "One World Tribe celebrates the ties that bind humanity, and rails against the forces that hold it down." "From reggae to soul, Hip hop to funk, Jazz to salsa to African pop, they cover styles like water covers the globe"
"The musicianship is impeccable and One World Tribe keeps the energy level poppin'"
"One World Tribe is tighter than any band that comes thru town, much less any band from town"
"They mistrust power, decry poverty and violence, urge tolerance and respect of peoples differences. And yet - beyond the lyrics - they say all this by the simple act of standing together on stage making music"
One World Tribe began performing in 1994, started by bandleader Kennedy Thompson with diversity, justice and great music in mind. Covering music by Bob Marley, Santana, Ruben Blades, The Meters, Stevie Wonder and Johnny Klegg, the group quickly developed a fan base in Erie, Buffalo, Pittsburgh and the surrounding areas of Northwestern Pennsylvania and Upstate New York. Original music gradually replaced much of the cover material, as the Tribe's fan base continued to expand. Rochester and Syracuse became regular stops, with frequent trips to Harrisburgh and State College. Songs like No Justice, No Peace, Money Don't Make It Right, and Award-winning Unity and Diversity, the title-track of their first album, made the band's message clear, and entertained at the same time. After some years of pounding the beat in clubs, festivals, colleges, schools, street fairs and community celebrations, One World Tribe released their second CD, The World Today, rhythmic club-tested grooves with a World Music focus. This "collection of seven stunning original tunes"  brought more of the Tribe's sound and message to a continually expanding audience. 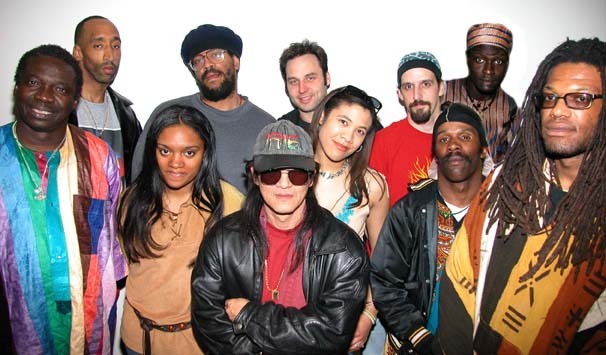 In 2004, One World Tribe became a member of the Pennsylvania Performing Artists on Tour [PennPAT] roster, increasing the touring reach of the shows. Tours have included Lancaster, Harrisburg and Philadelphia, PA, and New Jersey, West Virginia, Baltimore, MD and Atlanta, GA.
More recently, the group has been included in the Pennsylvania Arts Council grant listing, supporting residencies in schools. This brings world-class musicianship to young people, and allows One World Tribe to teach them authentic World Music styles, and to demonstrate the acceptance for each other's differences that the group exemplifies. One World Tribe is hard at work, the result of these and many other projects. In addition to the expansion of the World Music frontier, the Tribe continues developing its Hiphop show representing the third CD, Armed and Dangerous with this focus. Many of the individual artists in the group also develop other original projects, covering more music styles and experiences than can be listed here. More on the individual members can be found on the bandmembers page.